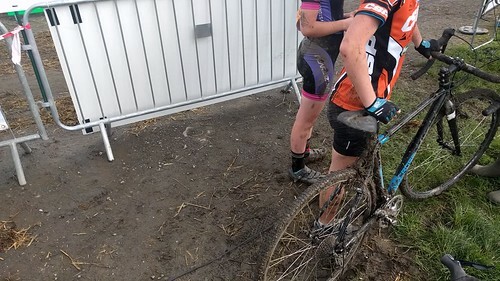 Absolutely great all-round ‘cross course with some superb technical parts, proper run ups decent mud, scores of snapped gear mechs and a series of well deserved winners in all races. Well done to all the officials, organisers and helpers. 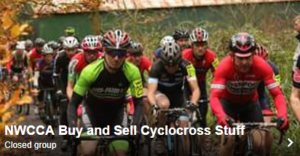 WHEELBASE Castelli 'Cross: Sat 01 October 2016 Report from NWCCA: Great course with some superb technical parts, proper run ups decent mud, scores of snapped gear mechs and a series of well deserved winners in all races. Well done to all the officials, organisers and helpers All the following subject to confirmation – Senior race Giles Drake – Leisure Lakes Bikes Lewis Craven – WHEELBASE MGD Rob Jebb – Hope Vet Women race Rob Jebb – Hope John Murfin – Jedi Cycle Sport Dave Haygarth – Carnac Planet X 1st Woman: Becky Preece – Leisure Lakes Bikes 1st V50 Mich Style – Manchester Wheelers U16 Race Boys Oliver Mashiter – Furness Future Flyers Charles Paige – Green Jersey RT George Ball – Furness Future Flyers U16 Girls Nicole Clark – Birkenhead North End Amy Monkhouse – Salt Ayre Cog Set Eve Barrow – Salt Ayre Cog Set U14 Boys Adam Bent – Border City Wheelers Benjamin Peatfield – Bolton Hot Wheels Joe Thorp – Macclesfield Wheelers U14 Girls Niamha Albones – Liverpool Century RC Erin Corrigan – Mossley CRT Lucy Dalgleish – Salt Ayre Cog Set U12 Boys Scott Fisher – Furness Future Flyers Alex Poulston – Birkenhead North End Daniel Porter – Bolton Hot Wheels CC U12 Girls Eva Newby – Furness Future Flyers Lily Brindle – Preston Pirates BMX Club Impogen Peatfield – – Bolton Hot Wheels CC U10 Boys Matthew Bell – Beacon Wheelers Daniel Cosgrove – Southport CC Felix Cuerden – Bolton Hot Wheels CC U10 Girls Emma Poulston – Birkenhead North End Megan Lloyd – Harry Middleton CC Elsie Haygarth – Carnac / Planet X U8 Boys Barney Watson Louis Cornwall – Salt Ayre Cog Set Dominic Poulston U8 Girls Millie Baptista – Mid Lancs BMX Phoebe Taylor – Chipping Muddies Sophie Smith-Jackson – Lakeland results: https://www.flickr.com/photos/minnellium/shares/BGr74k More photos to follow!